Our grapes are grown in carefully selected areas to optimise fruit quality, minimise environmental risk and to ensure continuous supply. Where: In Aussenkehr in Namibia, on the northern banks of the Orange River. 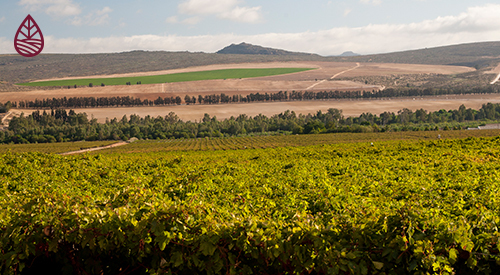 Founded: In 1997.The first vineyards were planted in 1999.Two new farms were added during 2012 and 2013, and were bought in partnership with the Du Toit Group. 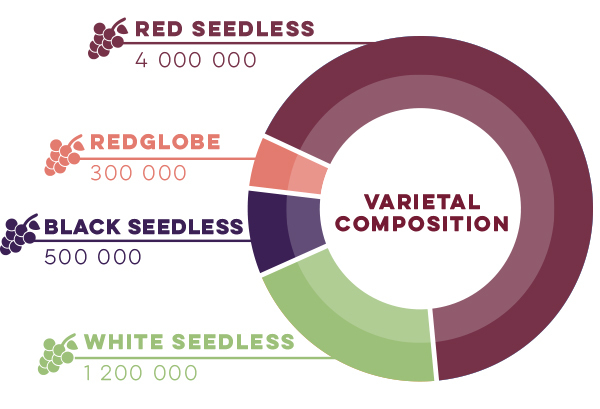 Size: The total area in table grape production is currently 567 hectares.The planted areas are divided into three production units. All the grapes are packed and cooled in one facility called Cape Orchard Services (Pty) Ltd.
Prime location: The Namibian desert’s hot, dry climate and almost no rainfall, as well as water from the perennial, mighty Orange River makes the area ideal for growing grapes. Where: Sigma is situated in Trawal, in the Western Cape Province of South Africa, in an area known as the Olifants River Valley. Founded: In 2008 and developed over time to a farm that is managed in three smaller units. Size: The current area planted with table grapes is 220 hectares. Prime location: The Olifants River is located on the boundary between the Western Cape’s Mediterranean climate and the desert climate of Namaqualand in the Northern Cape. Sigma complements our early Namibian supply as it goes into production slightly later. This ensures a continuous fruit supply and a good follow through until we start harvesting in the Hex River Valley. Where: Arcadia is situated 40 km downstream from Sigma, between the Clanwilliam and Bulshoek dam, in the Olifants River Valley. Size: The total planted area is currently 60 hectares. 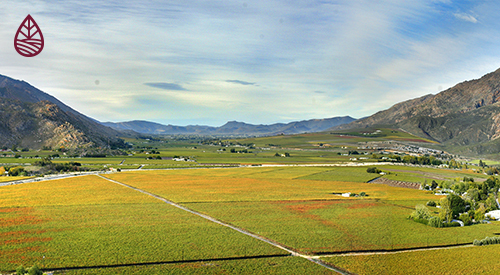 Prime location: Hot day temperatures and cool nights, as well as being situated in a winter rainfall area, makes Clanwilliam an excellent grape growing area. 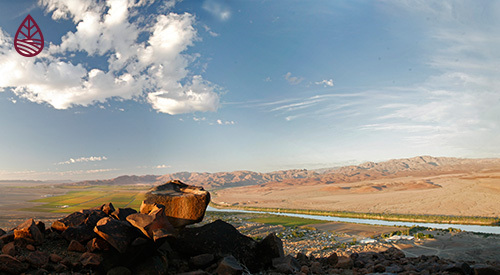 Where: The Hex River Valley is about 120 kilometres from Cape Town, in the Western Cape. It is South Africa’s oldest and biggest table grape growing region. 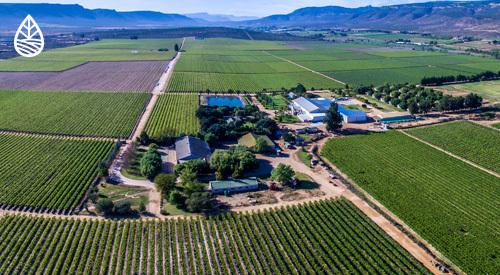 Founded: Home to CAPE ORCHARD CO. since 1892, the farming operation in this area now consists of nine individual farming companies – Duikerkloof, Medoc, Caingorm, Idlewinds, Môredou, Normandie, Somerslus, De Doorns House Estate and Blinkwater. Size: The total area under grape production is currently 420 hectares. Prime location: The Hex River Valley has a moderate Mediterranean climate, ensuring the longest harvesting period in South Africa. Being situated in a winter rainfall area, the Hex usually gets little rain in harvest time, which contributes to healthier fruit. Through careful varietal selection in three unique growing areas, we have a continuous supply of grapes for 6 months of the year, grown in Namibia and South Africa. Our approach on varietal development and new plantings is to complement the already consistent supply of White, Red and Black Seedless varieties. 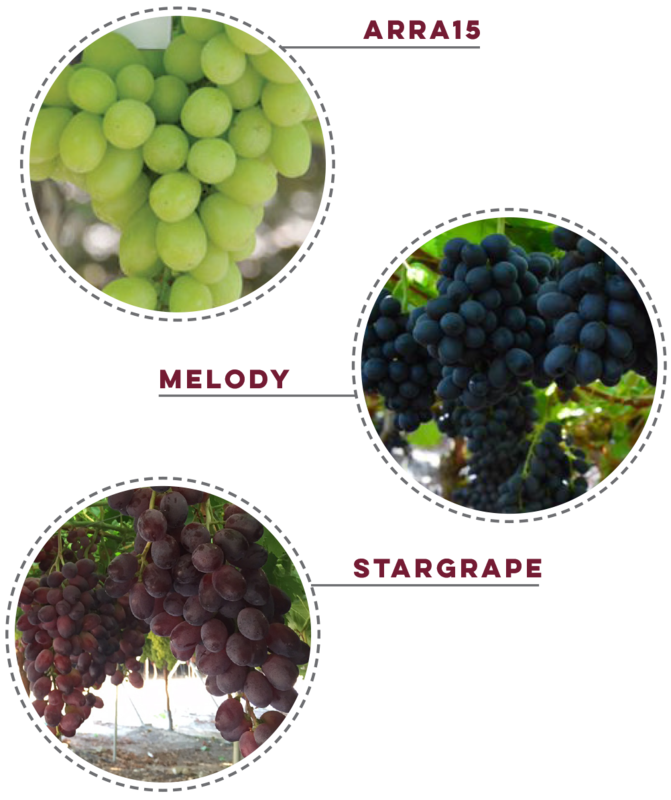 We currently work with international breeders and licensees like Giumarra Vineyards in California (Arra), the Special New Fruit Licensing Group (Melody) and Stargrow (Stargrape1 and Stargrape2) to keep improving the composition of our market offering. We have dedicated test sites to evaluate new varieties and make educated decisions along with leading retailers around the world.